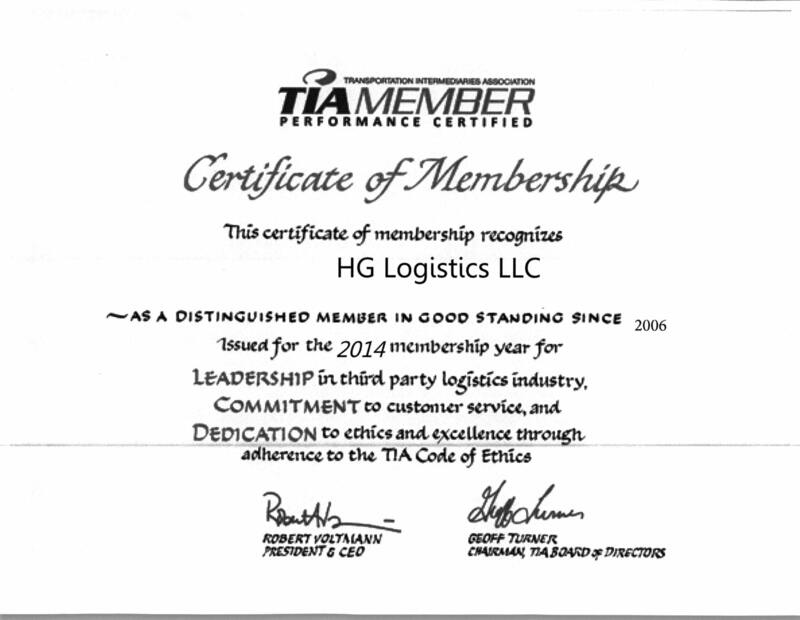 HG Logistics LLC has been a member of the TIA since 2006. To conduct business professionally, with truth, fairness, and responsibility to all customers, suppliers, associations, and TIA. To promote and actively participate in continuous improvement in both competence and knowledge within the third party transportation services profession. To subscribe to and offer to the public uniform and consistent service. To protect the interest of the shipping public. To promote greater productivity of and awareness in the areas of freight transport, logistics management, intermediary activities, and industry related asset utilization.